I believe we are born with a gift and a curse. The gift would be the hidden talent we all possess that might show itself in childhood or sometime during our life. The curse, for me, would be envy. Don’t get me wrong; I applaud every talented person out there, but I often find myself envious. Envious of those who can take pen or pencil to paper and create something beautiful. Maybe it’s because I can’t draw a stick figure to save my life. I see the beauty in the world but I can only capture those memories to my sd card. Darren McKeag is one of those gifted people I refer to, as it seems he was born with a paintbrush in one hand and a palette in the other. I have admired his body of work over the years and I’m constantly in awe of his talents. 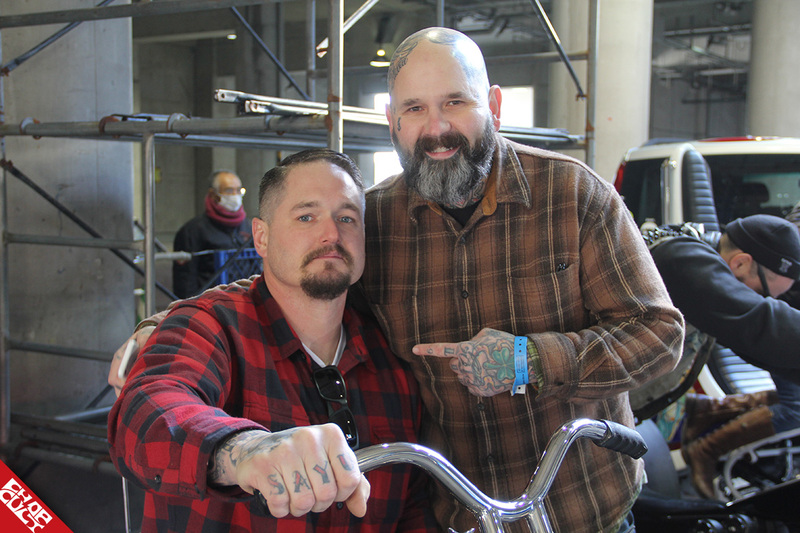 Darren is based out of Cedar Rapids, Iowa, and owns Slingin' Ink Tattoos. 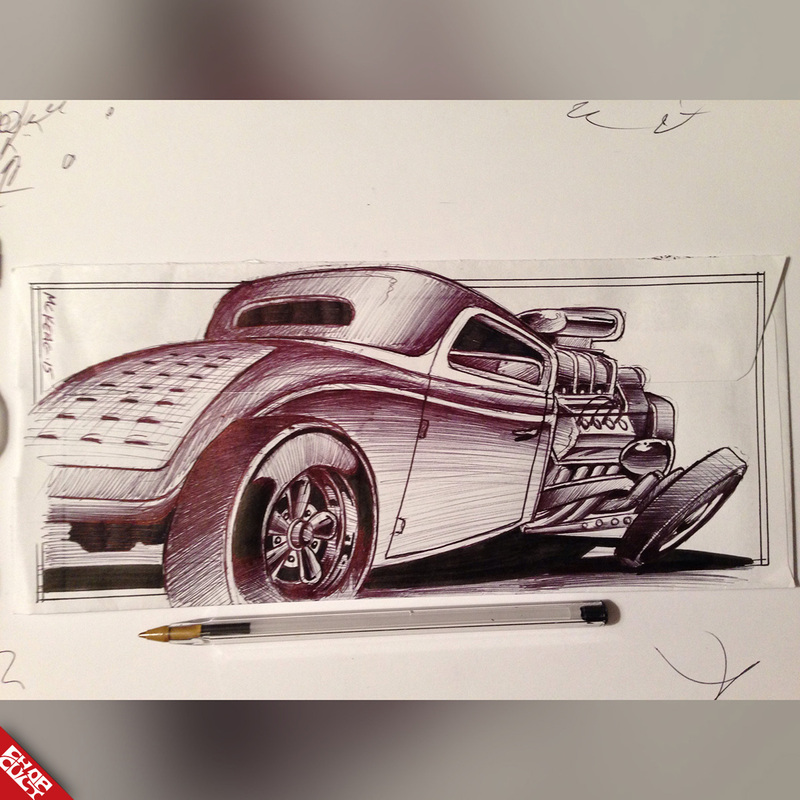 Darren uses different mediums to help bring his ideas to life. 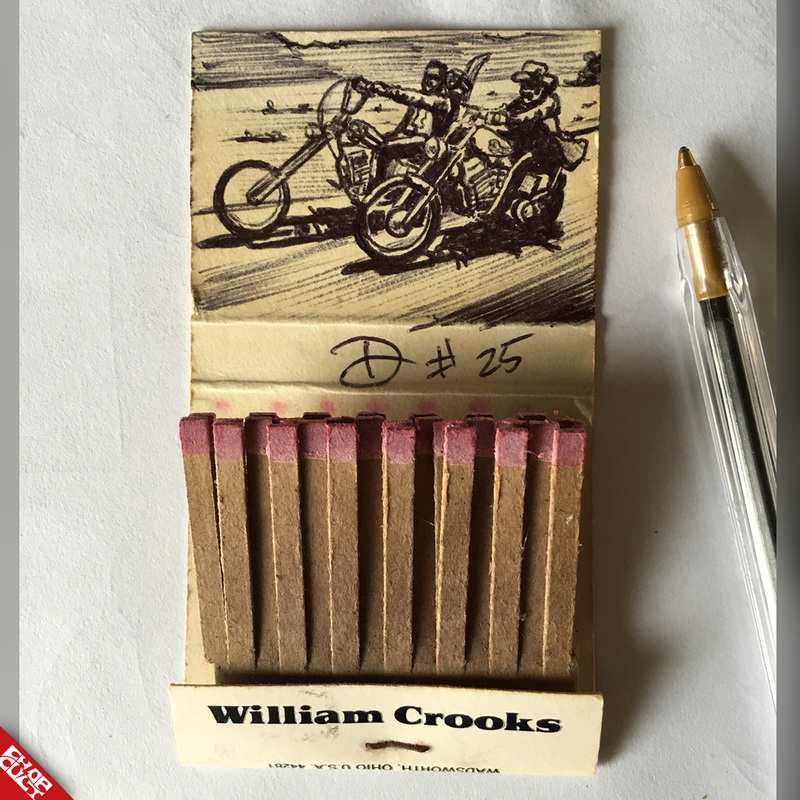 Whether on canvas, metal, matchbooks, envelopes, or creating art for brands or through tattooing, Darren is constantly pushing himself. 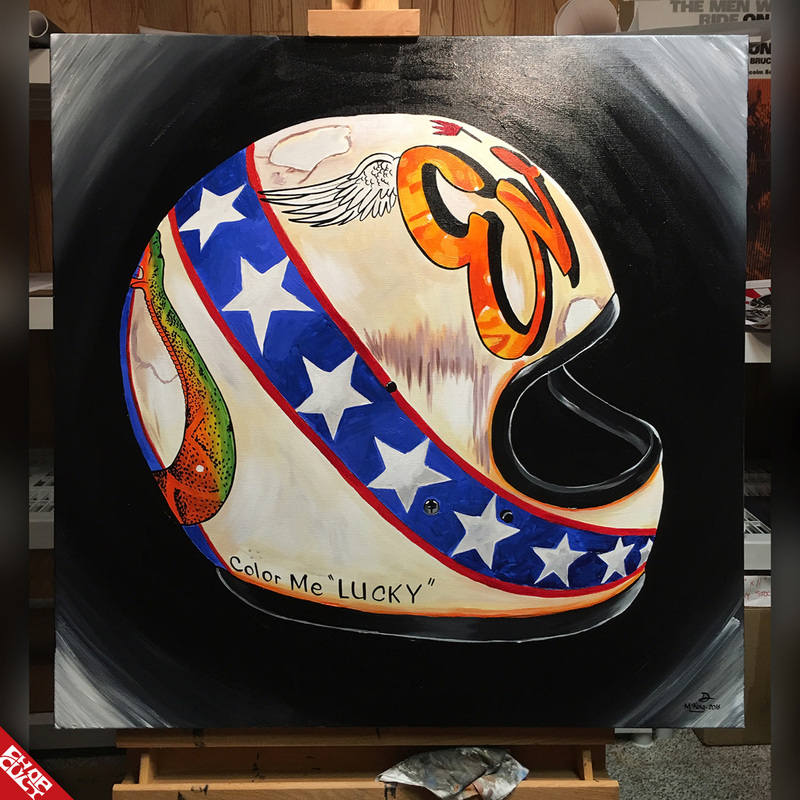 His recent painting of David Mann’s “"Show Off" graced the cover of the December Issue of Quick Throttle Magazine. 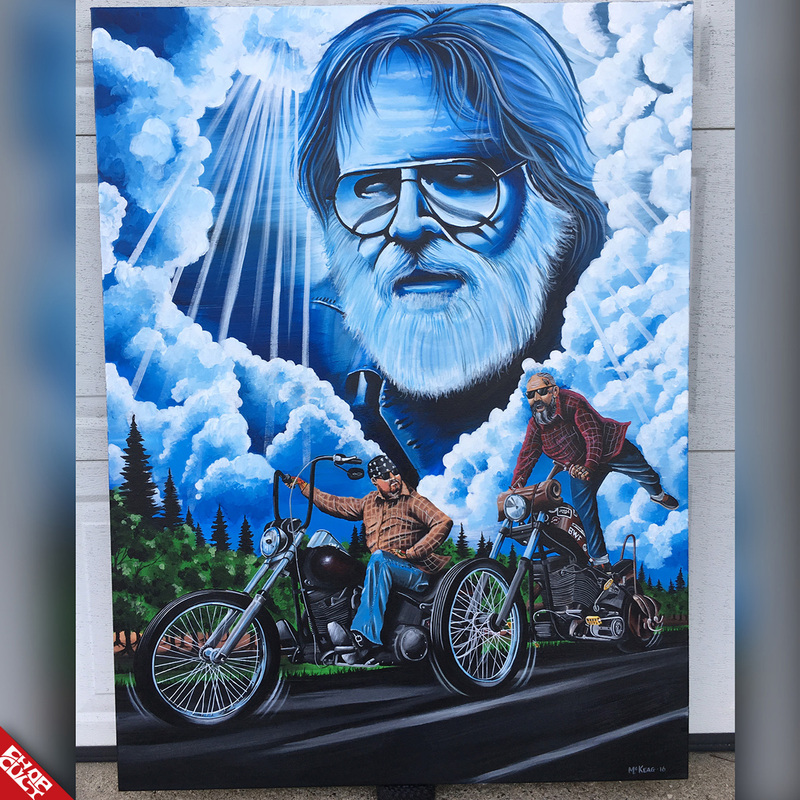 It was one of many pieces of art displayed in Chopper Fest’s David Mann and Friends Art Show. If you had the chance to see the 36" x 48" acrylic on canvas you probably felt David smiling from above. Darren’s tribute to David was spot-on, and Darren also paid homage to his friend Big Don who’s always been by Darren's side. I would like you to take a moment to get to know my talented friend, Darren McKeag. Darren McKeag, born in Grinnell, IA and now reside in Cedar Rapids, IA. 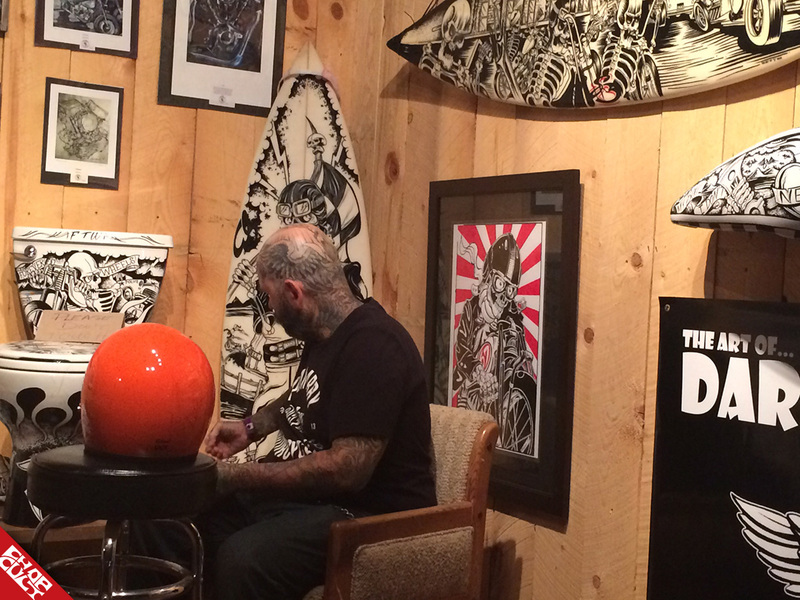 Which came first, painting or tattooing? 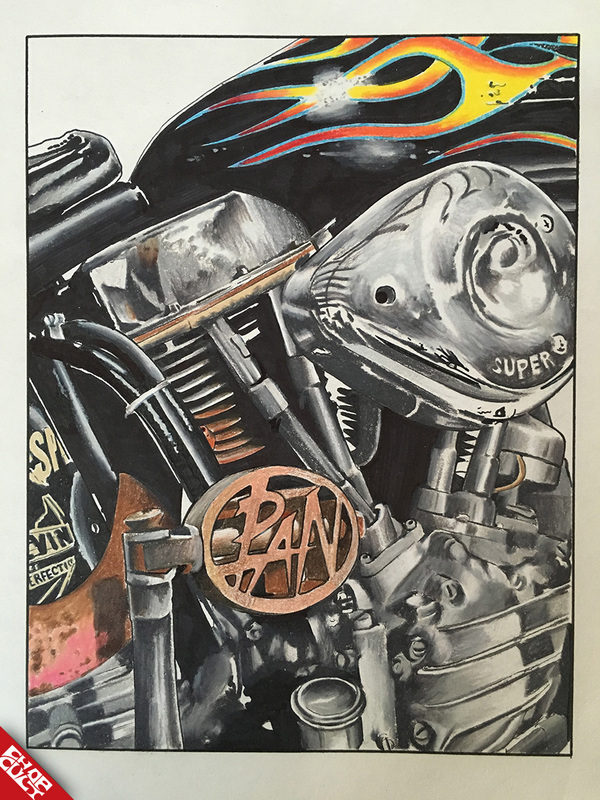 I started airbrushing motorbikes right out of art school in 1989... 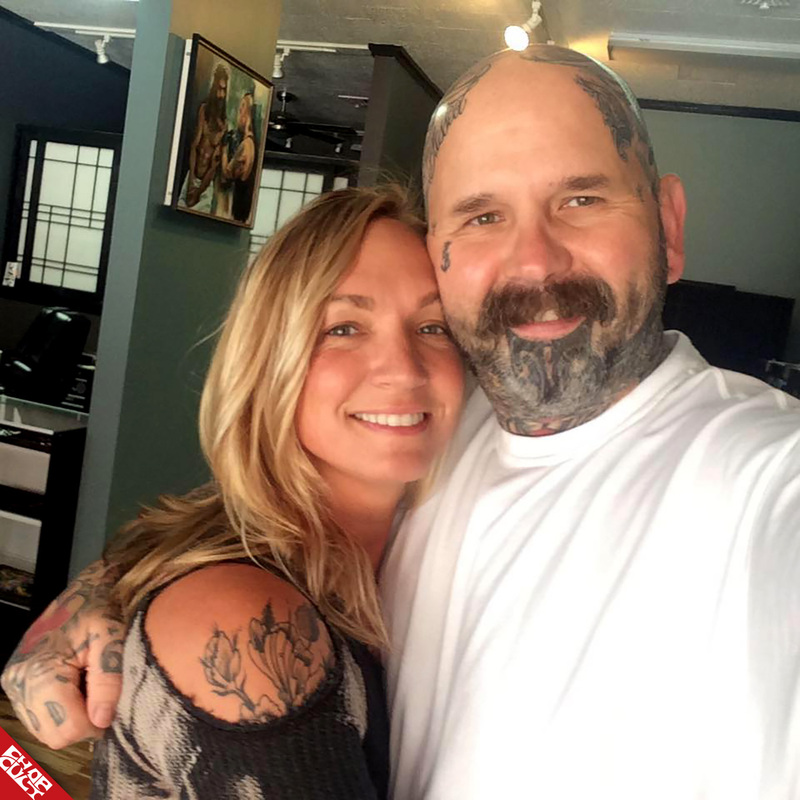 I was 1/3 owner of a bike shop in Ankeny, Iowa... Tattooing was still unpopular in the eyes of the general public and very difficult to get into. 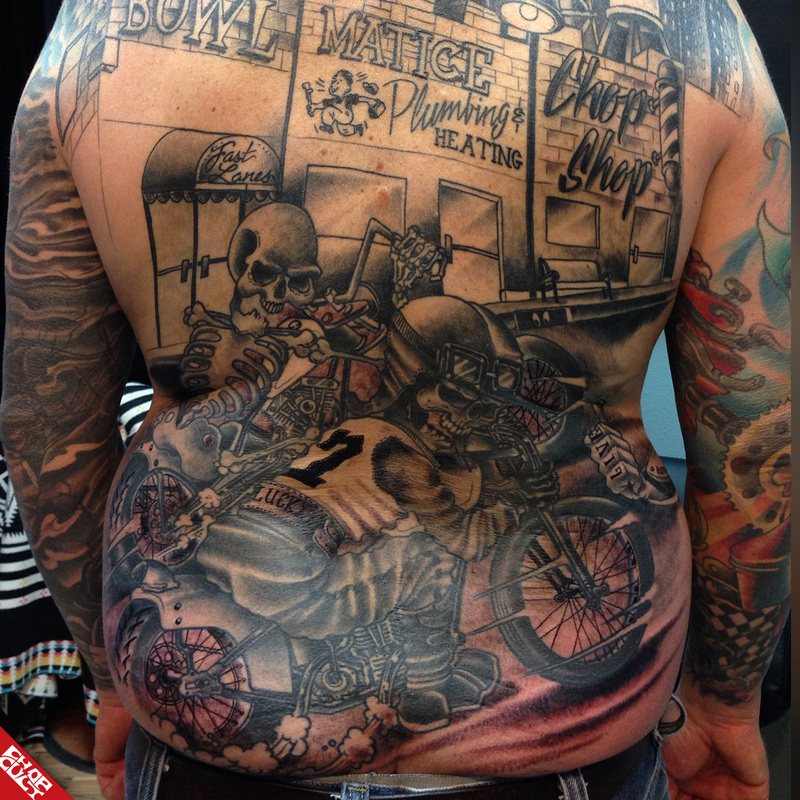 I was asked on a weekly basis by my biker friends if I would tattoo them. It became such a frequent question, I pursued it. Starting in 1991 I tattooed underground for about two years before opening Slingin' Ink Tattoos. And have Harleys always been in the mix? Yes... I grew up riding on the tanks of my Dad's 1965 Panhead, until he added a sidecar. I then moved into that. I've been surrounded by Harleys my entire life. Looking back, I now see that Harleys were going to big a part of my life. That being said, I enjoy and appreciate all motorbikes. 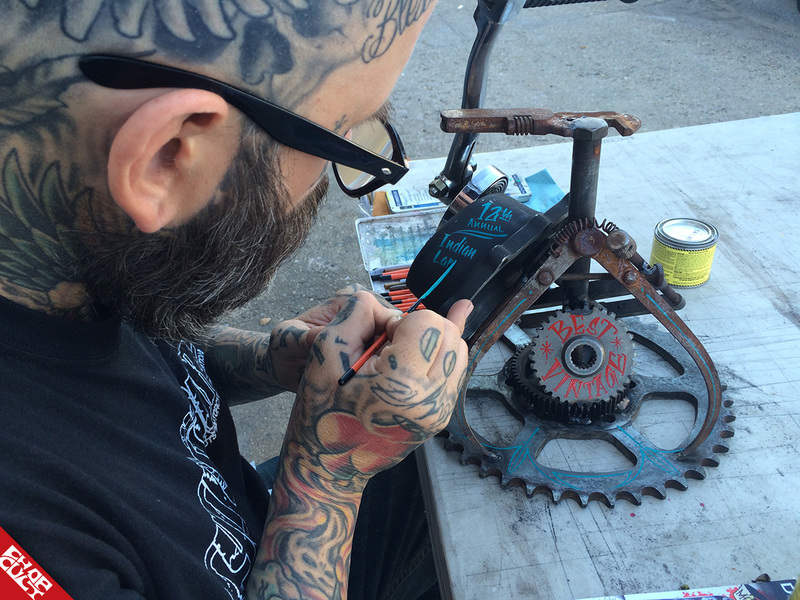 You’ve been doing the art for the Dave Mann Chopperfest for a few years now; Is that an honor, a terrifying experience, or a little of both? Being a part of the David Mann show is probably one of the highest honors for me. David's art had such a profound affect on me as a child. I would say that my first invite to his show was intimidating, scary and exciting, all combined. Most people don’t realize how difficult it is to paint chrome and have it actually look like chrome. Please tell us how to do that. Although chrome is in fact a finish, painting chrome is actually painting what you see. Which is the reflection of the sky and the earth, in the chrome. It is important to capture the blues of the sky and the darker tones of the earth, browns and even blacks. 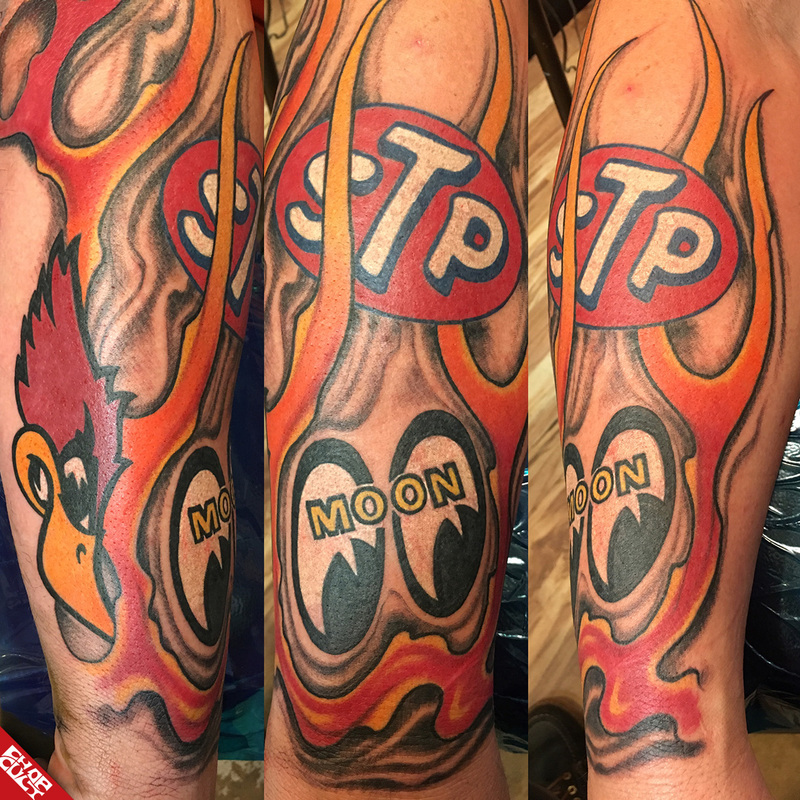 Any art that you wished you never let go, or tats you did that you wish were on you instead? I have trouble selling all of my three dimensional paintings. 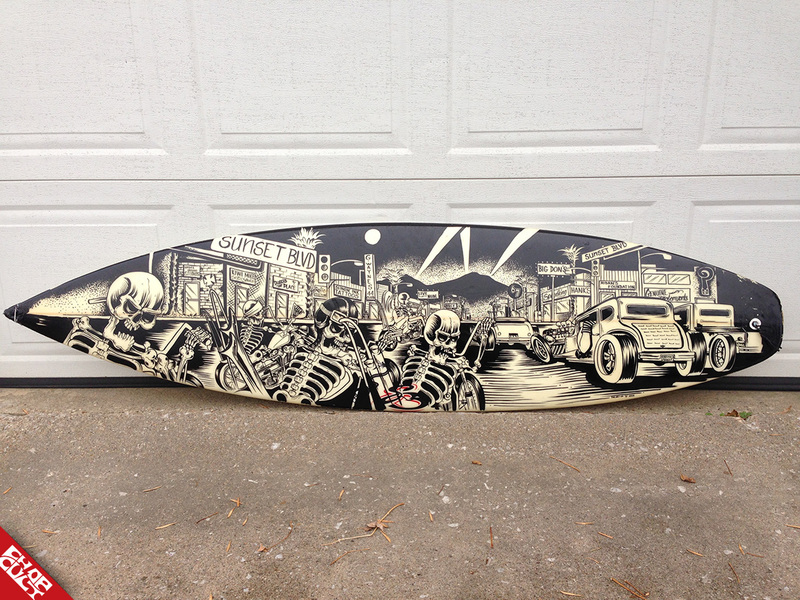 Surfboards, radiators, tanks and helmets. It is however, what I do to provide for my family. At the end of the day, there's another item waiting to be painted. I have in my possession all of my original canvas paintings that I've done for me, not commissioned. I do however, have limited prints available of those, which are much easier to sell. I would probably sell the originals, for the right amount of money. As for tattoos, I've definitely sent customers out the door with some pieces I would enjoy wearing. 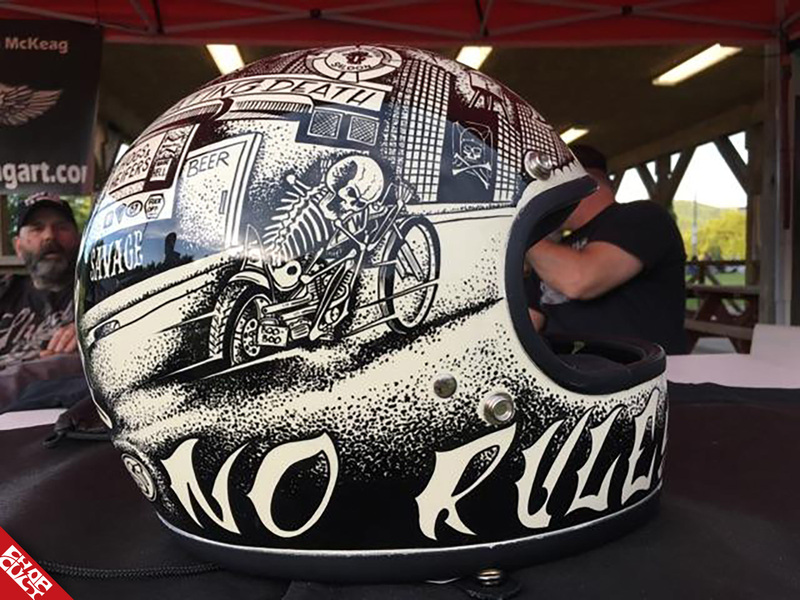 Which do you prefer, when a customer has some ideas as to what he/she wants for paint, or when they simply say “Go hog wild!”? I can work in both directions, however, I prefer to get a vibe from the client and have free reign. Much more fun to go "hog wild" and paint what’s in my head. Who are you favorite painters right now, or people that inspire you to paint? Artists, musicians, etc.? My close friends Scott Takes, Jeremy Pederson, Jet Wrench and Mr. Oz inspire me as an artists and as a human, as well as Michael "Buck Wild" Ramirez and Sonny Boy. Good friends and we all share the same work ethic. As for music, I listen to many different genres and sometimes I don't have any music playing. It all depends on the vibe at that moment. If there is music playing, obviously my favorites inspire and motivate me, whether it is Pantera, Whitey Morgan, or Blackberry Smoke. What would be the best tools to purchase when first starting out painting bikes / cars? Any tips you might have for beginners? For the style of painting I do, whether enamel or acrylic, the best advice I can offer here, is buy every brush out there, give it a go and see how you like it. You'll soon discover your favorites and also discover the ones that don't work well for you. It takes time and patience. If you discover you don't like a brush, clean it and set it aside. It may decide to work better for you down the road. What is your favorite go-to line brush? Depending on the length of the line, a Mack Sword or a Ted Turner Dragonfly, made by Mack... I've got some older Sword Striper I'm very fond of. What paints and thinners do you prefer to use? One shot enamel, odorless mineral spirits and Master's Touch acrylics. What is the hardest part about keeping creative? Avoiding social media. This might sound crazy, but I come up with ideas in my sleep. Some people might understand that. I enjoy old books and antiquing, in order to see old signs, brochures, etc. Who’s always got your back? Missy McKeag, Big Don and Bare Knuckle Paul. Anyone you’d like to give a shout out too? My wife Missy. If it weren't for her saving my life, my art would not be what it is right now and what it will be tomorrow. She is my everything. 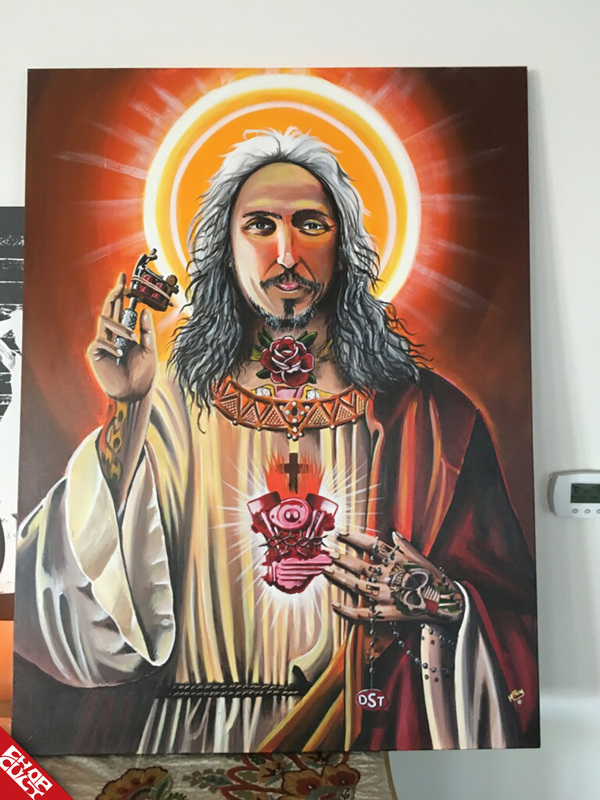 Met him at Sturgis---top notch artist and a really nice guy. I've had the pleasure of collaborating on a project with Darren. Keep up the good work man. Huge fan of darrens work. This guy is amazing. Make us Iowa kids proud! ! New fan. All really nice work pic'd here. Great article CC!! Thank you all very much for the kind words and following my art...I greatly appreciate it...Happy Holidays !! !